UPDATED FOR 2019 – With many recent changes in safeguarding regulations, we have developed this brand new course for 2019. It provides the most up-to-date training for those who need it. Find out about what duty of care adults have when working with students in the UK and what to do if a safeguarding situation should arise. The course provides core safeguarding information in 5 sections. It is co-accredited by EnglishUK, the professional association of UK language organisations, because it is written specifically for people working with English language teaching (ELT) organisations. As per our agreement with English UK, EUK member centres will be given preferential pricing, please contact us or English UK for more details. 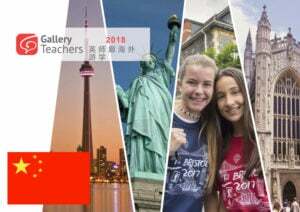 The earlier 2017-18 Gallery Teachers online course received very high customer satisfaction scores with over 83% rating it Very Good or Excellent. This new 2019 course has been revised and updated to provide the most recent information on UK safeguarding. Why is this course important for people working with ELT organisations in UK? Every ELT organisation with students under the age of 18 has a legal ‘duty of care’ to safeguard those students. Everyone working with the organisation needs to understand safeguarding and their ‘duty of care’ responsibilities. The training starts here with this specially designed course. The course has five sections including; basic principles, how to keep international students safe with practical safeguarding, how to recognise and respond to child protection issues, and what adults need to know about protecting themselves. The course also includes key information about the government ‘Prevent’ strategy. Each section has questions to check understanding. There are many UK laws connected to safeguarding; the main ones are covered in the training. Knowing what is acceptable in law for children and for adults is essential, especially because ELT has international students and group leaders who may not be familiar with UK. Safeguarding is one of the most important things we do for children; it has to be done properly. 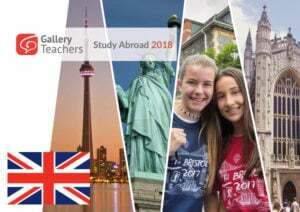 Every adult who works with an ELT organisation taking students under the age of 18, for example; all staff, homestays, group leaders and agents. Anyone who needs to understand safeguarding and what it means for ELT organisations. By completing this course you will have core safeguarding information. On completion, you receive an official online certificate issued jointly by Gallery Teachers and EnglishUK demonstrating your Basic Awareness Safeguarding for ELT, including ‘Prevent’. Can I buy the course in bulk? When making a bulk purchase, we will invoice you for the number of courses required. Upon payment you will receive a special pre-paid code that is only known to your organisation, which will allow users to use the pre-paid code to pay for the course. For added security we can optionally limit the pre-paid code to be used only by your white-listed e-mail address or domain (i.e. 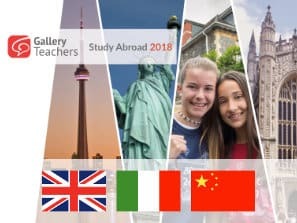 anyone with @galleryteachers.com email or a specific e-mail list). What if I need more advanced levels of training? Nigel Heritage has been involved in safeguarding children for over 40 years, since he first trained as a teacher of children with learning difficulties. He has dealt with many different safeguarding situations in his career which has included working in the UK state sector, in ELT overseas and in UK, managing junior summer programmes and for the last 14 years, training. Nigel is one of the leading safeguarding consultants and trainers for ELT in the UK and has worked a lot with EnglishUK. His focus is on international student welfare, particularly safeguarding young learners. Nigel believes safeguarding children is one of the most valuable things we do for international students in UK; it is very important that we get it right.